You will add many Cheats: Max Player Stats , Unlimited Focus Points , Set Realtime Minutes of Match , Freeze Match Timer and many more. Hello and welcome to Apocanow, we present this article about the Trainer of Pro Evolution Soccer 2019 We hope it will serve you and allow you to improve your experience with this game. If you have managed to find other items to be added, do not hesitate to send them in. We will add them to those already existing and we will thank you publicly for the help you have given. Available on this site are also the tricks of Pro Evolution Soccer 2019: these cheating and strategies inside will allow you to get to the end of the game without any problem overcoming any kind of obstacle. this in our official page dedicated to tricks of Pro Evolution Soccer 2019 . 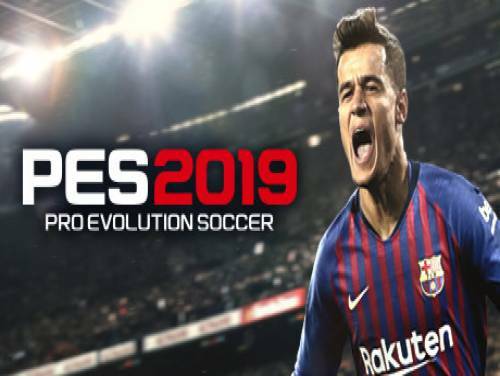 PES 2019 is Pro Evolution Soccer better than ever, with new licenses acquired, the graphics and the gameplay amazing and a myClub completely renovated. The program you are about to download was not created by Apocanow. However, we have permission to publish and publicize by the authors of the Trainer Pro Evolution Soccer 2019 Trainer - v1.01.00. The contents of the file are virus free, even if sometimes they can trigger the AV as false positive. In 'Become A Legend' mode click on 'Player' then on 'My data' and switch to last ability page, press hotkey and all of your stats will be maximized. While active in 'Become A Legend' mode click on 'Player' then on 'Training' and your focus points are unlimited. You may need to remove/spend a focus point before it becomes unlimited. Using the hotkeys you can slow down (or speed up) the overall match time. While active in 'Master League' click on 'Team Management' and then on 'Negotiations' and you have a high amount of transfer / salary budget.